Andorra is the perfect place to live for those who want to pay minimum tax as well as increasing their quality of life, and leisure and relaxation. Andorra has a very attractive and unique tax system, for those who wish to live in the Principality. Neither are there restriction regarding moving capital and assets such as real estate assets. Corporate Tax is minimum, given that companies only pay one annual trade rate, which for the majority of businesses amounts to less than 2,000 Euros per year. Another important aspect worth taking into account, is the strict banking secrecy , unless there is a court order from your country of origin. If one becomes a resident of Andorra, they are not obliged to have all their assets in Andorra. The climate in Andorra is lovely. More than 300 days of sun and moderate temperatures all year around, low humidity and a total absence of industry and just a few of the factors which contribute to Andorra having the highest life expectancy in the world: 83.5 years on average. The Mediterranean Sea, Barcelona and Toulouse are just two hours' away from the Principality Andorra. We mustn't forget that crime in Andorra is very low. There is a wide range of nationalities which have found in Andorra their main place of residence. 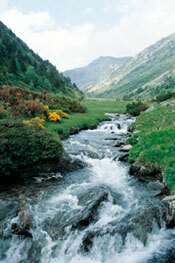 Andorra is especially popular among Spanish, French, English, Russians, Dutch and Scandinavians. 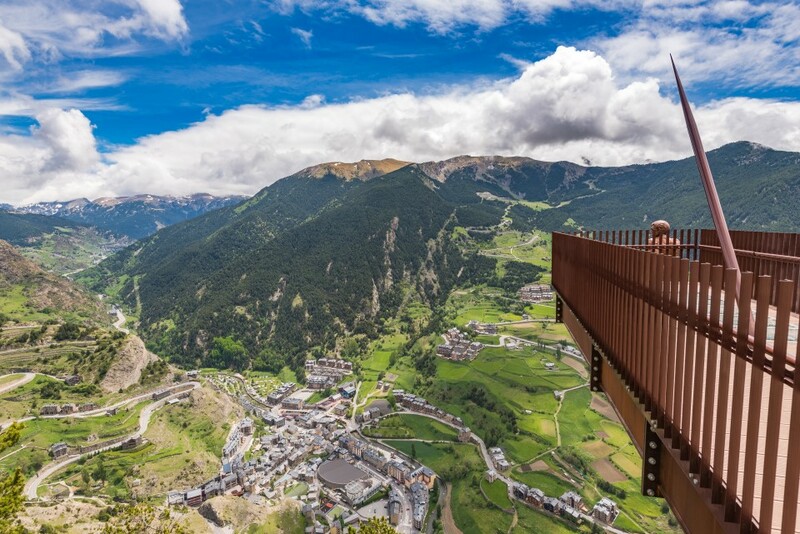 Andorra offers a large choice of sports and leisure for the entire family both in summer and in winter, and significant investments have been made over the last few years to improve the infrastructures in the country and the extension of the ski areas. Unlike other ski towns, in Andorra all the hotels ans shops are open all year around, except for 14 March, 8 September, 25 December and 1 January. Real Estate 3 Cases is available at all times to provide you with any information regarding Andorra and its environment, any type of consultancy related to the residence process, searching for the property to buy or rent which you had in mind. Prove you do not have a criminal record in your country of origin and the last place of residence. Physically reside in Andorra at least 90 days per year. Leave a 30,000 Euro deposit, as well as 7,000 Euros for each member of the family under the responsibility of the main person. The sum of this deposit, which must be paid to the (National Finance Institute), shall be returned after concluding your stay in the Principality of Andorra. Undergo a medical check-up during the month after having filed application for passive residence. Justify you are socially covered, by means of an insurance policy which covers illness, disability and old-age. Have a rented flats or have the intention of buying, always within 1 year. Invest € 400,000, whether in a real estate property, in the share capital of a company, in public debt or in a bank deposit with a bank of Andorra. Criminal record certificate from the country of origin. Photocopy of the justification provided when delivering the deposit in the sum of 30,000 Euros to the Government of Andorra (INAF - National Finance Institute), as well as 7,000 Euros for every person under your responsibility. Original contracts for buying or renting a dwelling. Documents to justify an insurance covering disability, illness and retirement. Ownership deed, bank guarantee or bank certificate proving that you and your family can live off income without having to work in the Principality of Andorra. Sign a document in which you undertake to live in Andorra at least 90 days per year. The passive residence permit is valid for 1 year, then twice for 3 years and finally it is issued for 10 years. The active residence permit has its own rules and is much more restrictive than the passive residence. When a person comes to live in Andorra, they have no special obligation regarding their furniture, objects and belongings, provided they do not intend selling them. For importing cars there are special norms in force. Ask us!